← U.S. Extraterritoriality and Corporate Governance and Global Transactions — More Aggressive U.S. Action. The USTR Ron Kirk argues in the Wall Street Journal today that the Obama administration believes the service sector can do more business abroad. He argues that’s why the Trans-Pacific Partnership negotiations focuses on services and investment as its cornerstones. “Rethinking ‘Made in America’.” Wall Street Journal (April 18, 2012). This is also why the USTR started to publish, in 2010, “Notorious Markets” separate from the annual Special 301 reports. This report focuses on identifying physical and Internet marketplaces where infringing goods and services are sold. The most recent report was released in December 20, 2011. “Results of Special 301 Review of Notorious Markets.” USTR News (December 20, 2011) and “Review of Notorious Markets.” USTR Release (December 20, 2011). 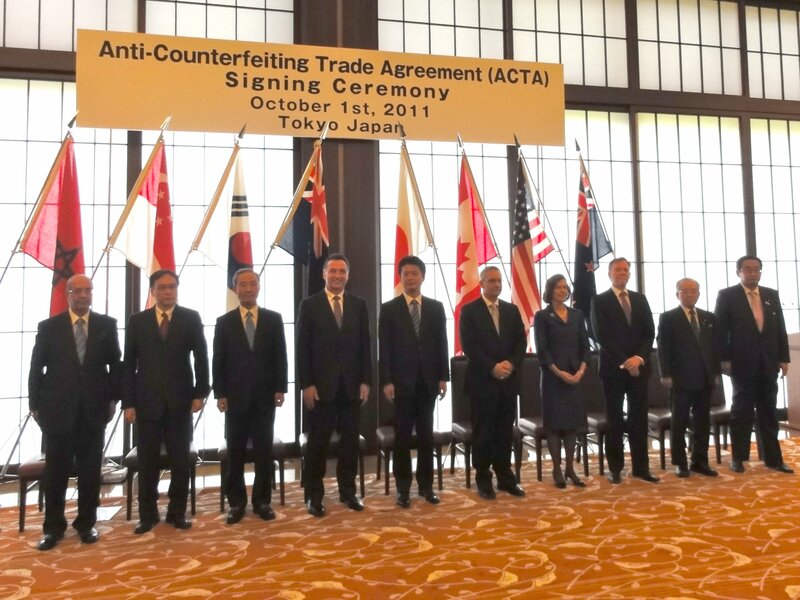 The plurilateral agreement, the Anti-Counterfeiting Trade Agreement (ACTA)was signed in October 2011. Its aim is to further enforcement of intellectual property rights. ”ACTA attempts to deepen international cooperation. This agreement will come into force when additional diplomatic steps are taken. ACTA (USTR website). This entry was posted in Global Trade Relations and tagged intellectual property rights, IPR, Notorious Markets, Ron Krk, Section 301, Services, TPP, Trans-Pacific Partnership, USTR. Bookmark the permalink.